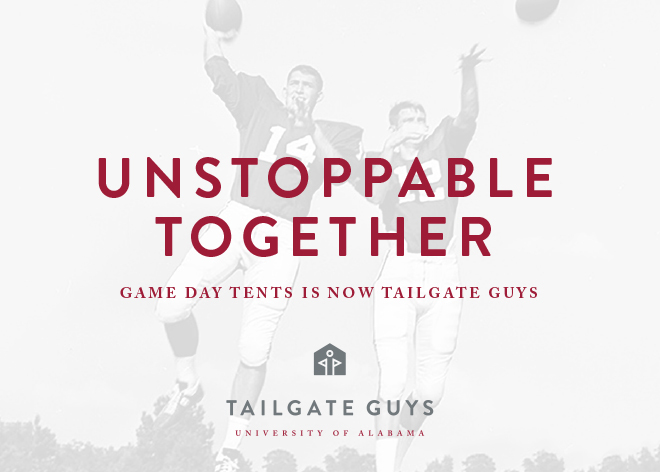 Game Day Tents, the tailgating provider for the University of Alabama in Tuscaloosa, has merged with Tailgate Guys to become part of its growing national footprint that provide game day tailgate services. Under the name Tailgate Guys, the University of Alabama team will apply the same principles and attention to detail that has made Tailgate Guys a national success and one of top 5,000 fastest growing privately held companies in the United States over the past three years, according to Inc. magazine. Tailgate Guys has partnered with some of the most respected programs in college athletics since its inception in 2009. With a growing number of athletic partners across the southeast, Tailgate Guys’ clients include: Auburn University, Georgia Tech, Texas A&M University, Texas Christian University, University of Florida, and the University of Texas, as well as bowl championship partners, the Chick-fil-A Bowl and Cotton Bowl.